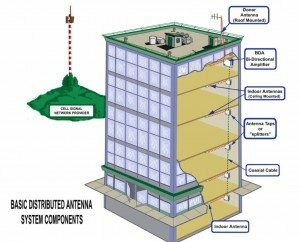 In-building DAS provides an alternative to weakly covered areas, safely distributing coverage and capacity where you need it most. DAS Systems are usually best solution to cover “dark spots” in Convention Centers, Transportation Hubs, Subways, Sports Venues, Hospitals and High-Rise Structures. In Today’s World loss of signal on your mobile device even for a couple of minutes can be of immense importance, it can cost you dearly to miss important call or sms. 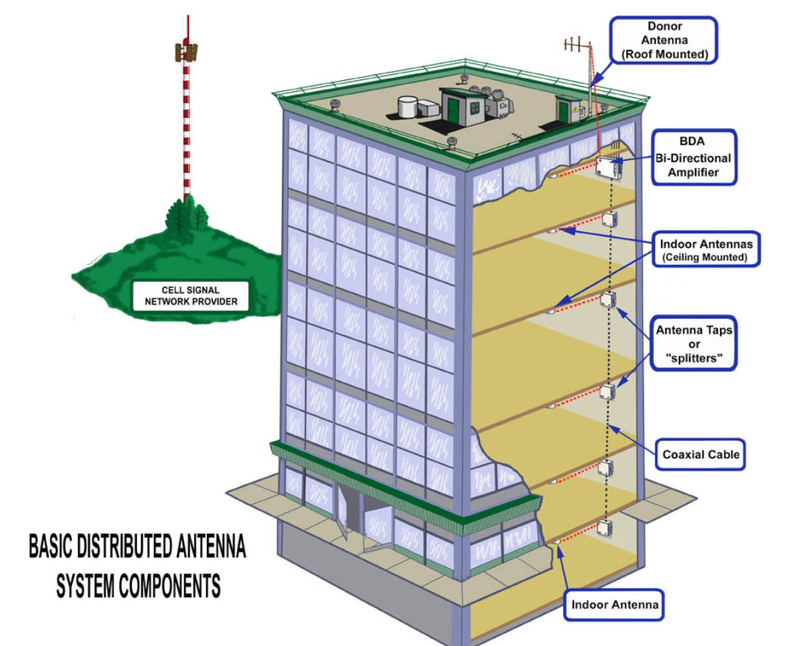 In order to alleviate such problems, Distribution Antenna Systems (DAS) is perfect solution. Here you can see basic representation of DAS system.